A week ago Honor unwrapped the huge 8X along the even larger 8X Max at an event in China. It looks like the massive phone with a 6.5 screen is quickly going global after an invitation was slipped in our inbox. 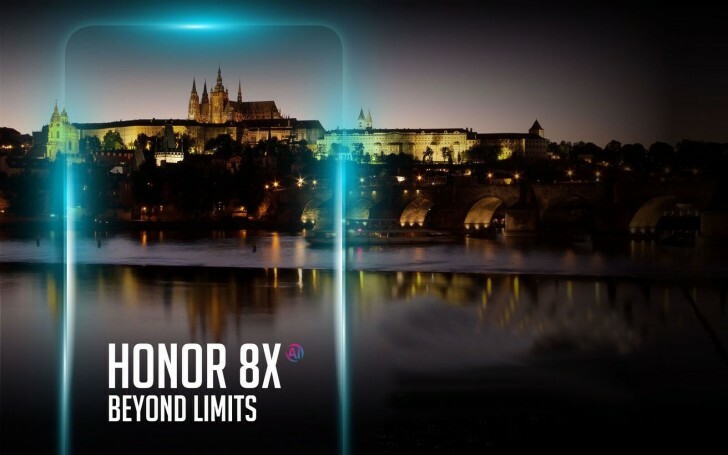 The Honor 8X first introduction outside China will take place in Prague, the Czech Republic on October 11. Since the Honor 8X is already official, we know what to expect – a device with Kirin 710 and up to 6 GB RAM, coupled with 64/128 GB storage. There is a vertical dual camera setup on the back that has a 20 MP main cam and a 2 MP depth sensor. There is one 16 MP selfie shooter, tucked in the tiny notch. The phone has EMUI 8.2, based on Android Oreo, and given the phone is going global it will gain Google services that are otherwise banned in Honors domestic market. The device has an impressive 3,750 mAh power cell and a triple card slot for two nano SIM cards and a microSD. Announced in Black, Blue, Red, and Pink, the Honor 8X arrived with a price tag between CNY1,399 and CNY1,899, or in the 180-240 range. Chinese prices are normally lower than European ones, but the phone will probably still stay under 300 in all its versions.